Computer games have always been regarded as a means to relax and unwind. However, the world of computer games is a much more complex place and the gaming industry is a billion-dollar playground. High-end games require heavy duty hardware in the form of higher RAM, better graphics, faster CPU’s, etc. 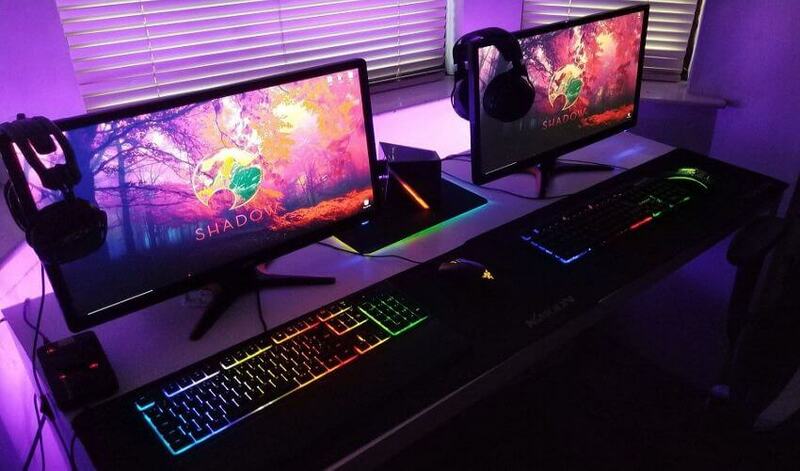 Shadow.tech has addressed the issue of heavy hardware infrastructure requirements to run computer games and make the gaming experience for gamers a sheer breeze. 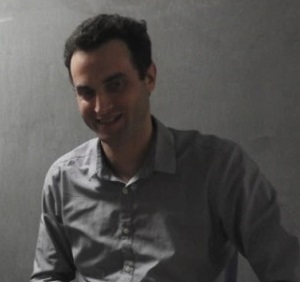 We spoke with Asher Kagan, CEO at Shadow.tech to tell us about how the Shadow computer works and to share valuable tips with tech startups looking to venture into the hardware space. What inspired you to start Shadow? Tell us the story. We started Shadow 3 years ago based on the observation that it costs less than $20 to buy a computer game but it costs $2,000 to run it properly. As avid gamers ourselves we realized that while the industry has changed a lot, and there are more and more amazing games released every year, the way to access the content has barely changed. The hardware cycle and the high upfront costs are huge barriers. The inability to play on the go, or just on different devices, is preventing gamers from enjoying the experience. Gamers are still spending a tremendous amount of time, effort and money trying to run a game instead of playing it. Our mission was to reduce hardware friction for gamers, so they can focus on playing games. We decided to create a way to run any game at the highest settings, anytime, anywhere, that would be up-to-date forever. This is how Shadow was born. Shortly after, Stephane Heliot joined the crew and we created the company Blade to make Shadow a reality. In 2016, the first 500 customers were given access to an early beta version and the feedback was incredible! Soon, more and more people started to ask about Shadow and this gave us confidence and validation that we were building something that people want. Tell us about the Shadow computer. How does it provide a superior PC user experience? Shadow delivers the best experience with no compromise. It offers high performance, portability, and convenience. Shadow delivers a full-Windows10 experience. What runs on Windows10, runs on Shadow. It is the most familiar environment for users and, more specifically, for gamers. Not only can users install all their favorite games, but they can also install mods, patches, drivers and, of course, any Windows software. Above all, Shadow is about high performance. Designed and developed to be an end-to-end architecture, Shadow features the latest top-of-the-line components and is paired with proprietary technology to handle the hardest 3D rendering and the most demanding computing tasks. Users are free from maintenance, hardware failures, and upgrades. Most importantly, they are free from the stress of reselling the old devices or trying to store it in their garage. Finally, users can access their Shadow from any device, play their games or use their favorite software on the screen of their choice, including mobile on LTE. Shadow users are free from any local constraint. Give us an overview of how Shadow’s automatic hardware evolution works. Shadow evolves according to the market trends, and more importantly, according to what the community wants. Our goal is to always be able to run all AAA games conveniently. We want Shadow users to only consider what they want to play and not be worried about what they can play. As validation of our commitment, we upgraded our GPU from GTX1070 to GTX1080. A card that is almost only accessible to the top 1% of gamers. In 2018, we made another leap forward and upgraded to the Quadro P5000. More importantly, it is the cards that deliver and determine the performance that most dedicated gamers want. On par with the GPU, this summer, Shadow is progressively upgrading the CPU to offer even faster clock speed per core to run the next batch of major games perfectly. Could you share a few tips for businesses and startups looking to venture into the hardware space? You will need a lot of money for models, molds, and other casts for prototypes or for mass production. Financial forecasts, cash flow management, and good analysis are critical. The financial entry barrier should not be underestimated. You need to know your manufacturers and their competencies perfectly. Your manufactures need to have a great track record and proven experience that are relevant to the exact type of final product you want. If your manufacturer has no experience with your product, they will be learning by iterating with you. They will make many mistakes, creating delays and costing you a lot of money, time and energy. If a manufacturer has consulting experts on the team, they will be equipped to deal with unexpected problems easily. If there are no consulting experts on the team, the manufacturer won’t be able to deal with problems. Thus, you would want, and you need to recruit an expert. For instance, manufacturers from Singapore or Taiwan usually have consulting experts. But most of them in mainland China don’t have a consultancy team and they will quickly be blocked by simple internal problems. Depending on their specifications, you will have to pick the perfect components for mass production. Never go for the cheapest. Most of the time, a good component at a very low price is near the end of its life and it will prevent you from going into mass production in the long term. Usually, the price is a function of quality. Select the components that require the best quality in your product concept and pay the right price for them. It’s far better to buy a wonderful component at a fair price than a fair component at a wonderful price. Even if only one component of your final product is late, your whole production line will be delayed. Think ahead and adapt to potential component shortage and unexpectedly long manufacturing time. What are your future plans for Shadow? Our plan is clear; we want to run everything on Shadow. And the first step is to be global and to continue our expansion. This year, we reached the UK in January, California in February, Germany in April and we launched across the US East Coast in August. We continue to expand with a brand new data center in Amsterdam, as well as in the US with several incoming data centers to cover the entire country. We are also improving Shadow to be more user-friendly, innovating how users interact with content. For instance, we recently developed Shadow Beyond. It is a new interface that delivers a seamless way to interact with the content from your smartphones, tablets or other kinds of touchscreen devices. Shadow is fundamentally a high-tech company. We have a strong technical background and the founding team has worked in some of the most advanced technology companies and industries before. We are proud of our tech roots and .tech domain reflects this origin. If you are starting a hardware business, consider finding a brand name on a tech startup name generator.